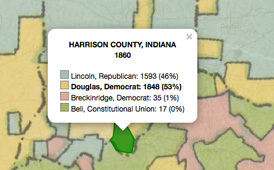 Explore moments where third-party candidates affected the outcome of presidential elections. 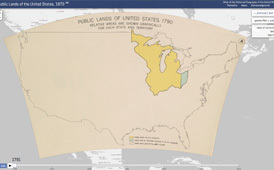 See the growing cartographic knowledge of North America. 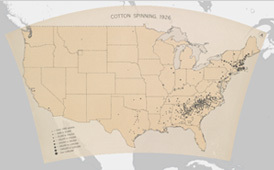 Explore the early mechanization of American agriculture. 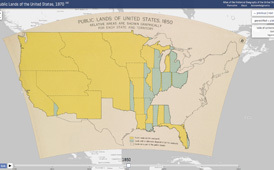 Here you will find one of the greatest historical atlases: Charles O. Paullin and John K. Wright's Atlas of the Historical Geography of the United States , first published in 1932. 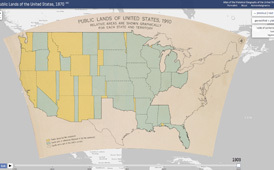 This digital edition reproduces all of the atlas's nearly 700 maps. 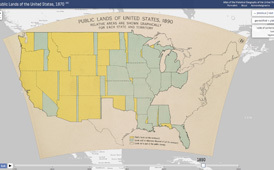 Many of these beautiful maps are enhanced here in ways impossible in print, animated to show change over time or made clickable to view the underlying data—remarkable maps produced eight decades ago with the functionality of the twenty-first century. 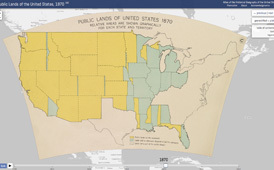 Most maps in the atlas have been georectified, warped so that they can be placed consistently on top of a digital map. 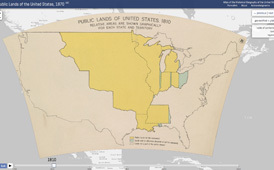 Series of maps in the atlas that show how something like the exploration of the continent, different reform movements, or the location of churches evolved over time can be animated. 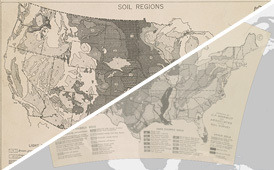 Dozens of the maps like those illustrating presidential voting, population demographics, and crop production are clickable to access the underlying data in greater detail. 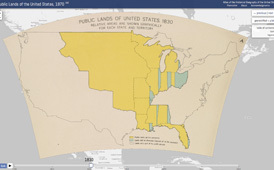 For most maps in the atlas click on georectified ⇆ plate to toggle back and forth between views of the georectified maps and how they look in the printed atlas. There are lots of maps in the Atlas . 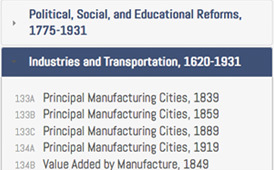 Open up the table of contents to find what you're looking for among the atlas's 14 chapters and nearly 700 maps. 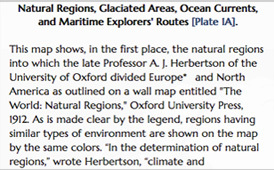 If you want to know more about a map, open up the text to read more about the sources on which it was based.